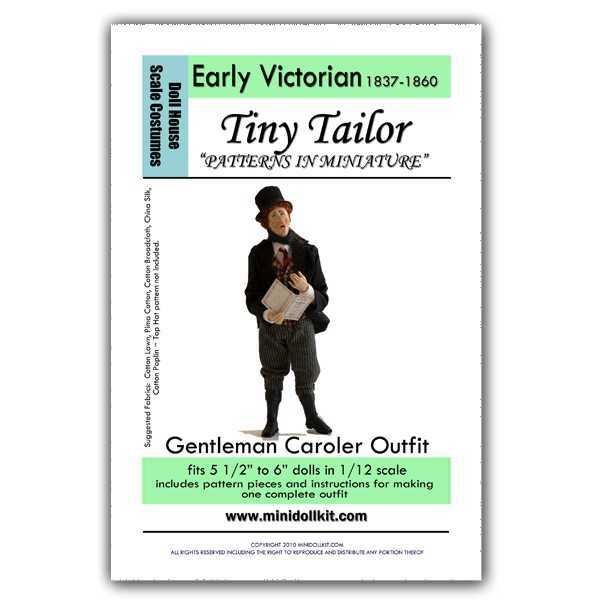 This gentleman's caroler outfit pattern is beautifully reproduced in miniature scale . The pattern pieces include riding breeches, mens shirt front with placket and collar, mens vest front, mens overcoat with notched collar and scarf. Put sheet music in his hands and you have a great character doll for your holiday room box or mantle shelf.